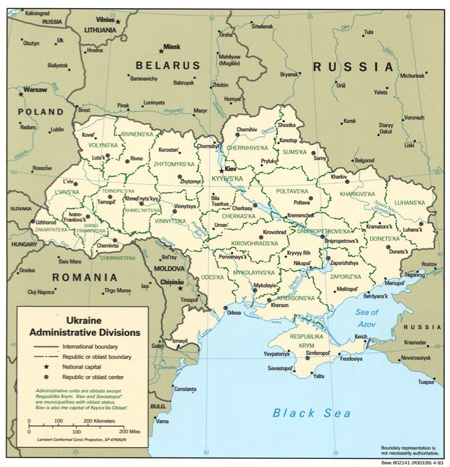 Students will collaborate to analyze, compare, and contrast newspaper coverage of events in Crimea and Ukraine in the mid-19th century and early 20th century with 2014 media coverage of events involving Crimea, Ukraine and Russia to illuminate the geopolitical history of the region and consider how examining the past shapes perspectives and understanding of current events. Enduring Understanding: Events and actions of the past affect the present and the future. 1. As a class, discuss student knowledge and understanding of the current situation involving Crimea, Ukraine and Russia. Create a KWL chart on a white/blackboard and have a scribe fill in the Know column on the board and another scribe create a copy in a digital document. (Alternatively, take a digital picture of the white/blackboard notes at the end of the class). 3. Divide students into 6 groups. Instruct each group to read and analyze one historic newspaper article about the Crimea using the primary source analysis tool. They should consider the newspaper articles analysis questions as they complete the analysis. 4. As a class, share what students learned from reading the newspaper articles about the Crimea. Be sure to summarize the information gathered and capture it in a digital document or other easily referenced format. 5. Repeat steps 3 and 4 with the historic newspaper articles about the Ukraine and the 2014 articles. 6. Create new groups of students that include at least one student from each of the original groupings. Then direct each group to review all the information gathered and create a special news supplement devoted to the 2014 situation involving Crimea, Ukraine & Russia. Ideally, the supplement will be in digital form and should include the news features listed below. News article Summarize the current situation and remember to answer Who, What, When, Where, Why and How. History of the region Provide background information into the geopolitics of the region. Be sure to include information about all three regional stakeholders: Crimea, Ukraine and Russia. This historical piece may take the form of a feature article or some other interactive news feature. Be creative! Timeline of Ukraine You will need to decide how far back to go and what years to include. Use the information provided in the News Timelines of Ukraine (see below) to assist you in the creation of the timeline. (Be sure to consult all of the timelines as they were created by different news organizations from around the world.) You may also use your own research to add to or extend the timeline further back in time. Editorial Suggest a course of action to help stabilize or depoliticize the situation. You may write from the perspective of Crimea, Ukraine, Russia. You may also take the perspective of the United States. Be sure to provide direct evidence for why the course of action you propose is the best for all stakeholders.